This entry was posted in Light Series on February 2, 2015 by SammyT. A few weeks ago, I returned from a major outreach event in India. God had blessed and many people from non-Christian backgrounds came to Christ. The experience gave me courage to write about penetrating the darkness in my e-book, God’s Glory in the Darkness. I encouraged Christians not to fear the darkness, but penetrate it. This time, there was no quick or easy answer. I had to ask God to search my heart. I found myself on my knees crying to God. “Oh, God. I believe in You. I give You my heart, my life, my all.” A refreshing from heaven descended upon my soul. You may be wondering what it was that I wrote. Here are a few lines. 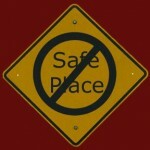 The “safe place” is not as secure as many think. Retreating to the safety of shadows only delays the arrival of darkness. It will still cover our communities, perhaps slowly, but surely. Darkness can be scary because of the unknown dwelling inside it. We must understand that darkness can roar like a lion, but it can’t destroy those carrying the light. We must never retreat, but be filled with love and humility, bringing light into the deepest parts of the darkness. It was easy for me to write that we must not remain in our “safe places.” But, it’s another thing to abandon the “safe place.” It’s easy to stand in our pulpits or sit in our church pews and say that we have the hope for the world. It’s another thing to go into the world – to obey the Word of God. As I surrendered to God, He refreshed my heart. When revival comes, God moves us from the place of talking about revival to actively participating in it. The purpose of revival is not to give us a fresh sermon illustration or a clever way of expressing our ideas. Revival thrusts us into the center of God’s will. It’s calls us to action. It produces a life of obedience. In April, I will be speaking at the Heart-Cry for Revival Conference (Conference link). My prayer for our Heart-Cry for Revival conference is that we will leave with a fresh vision of what God has called us to become and do. My heart cries that we will leave The Cove with a passion to do His will. My prayer is that the light of His love will spread rapidly from the training center to every part of the nation. May revival descend during these days! To read more of what Sammy Tippit has written on this subject, visit: www.sammytippitbooks.com/light-in-the-darkness-series/.